"What is so important about a good name? " Experts say that gambling has a similar impact on the body’s neurological system as engaging in sport. The endorphins released when playing these games of chance are the key driver for people to go for prolonged periods of time around the poker table. It makes sense that Molly Bloom (Jessica Chastain) could be drawn into both of these high stake worlds and succeed. Coupled with the writing talents of Aaron Sorkin (West Wing), the biographical sketch of Molly’s Game has loads of potential to win big or potentially bust. Bloom was a champion skier who was driven by her father (Kevin Costner) to excel in all areas of life including competitive sports and education. After her Olympic career in mogul skiing ends abruptly, she looked to go on to future scholastic efforts. During this season of her life, she takes a part-time job as a personal assistant to a man who ran an exclusive high-stakes poker game to the elite of Hollywood and business. Molly becomes the key to the game’s success and helping to raise the profile by building relationships with the players and recruiting more well-known card players. Over the course of a decade she goes from coast to coast and grows her game and reputation until the FBI shows up at her door. Partnering with defense lawyer Charlie Jaffey (Idris Alba), they strive to clear her name, keep her out of jail and not expose the people who played in her games. Aaron Sorkin has an excellent reputation as a writer in theater, television and film, but this is his first venture as the director. All things point toward a winning hand with the talent behind and in front of the camera combined with an intriguing story with extensive vernacular possibilities. The most significant challenge for this first time director is to know when to cut his screenplay, knowing when to make a film that is known as much for being a great film as it is for its exceptional writing. Sorkin was given the right starting hand and only overplayed it a bit. He has the support for his signature style of quick dialogue and rich characterization by the acting abilities of Chastain and Alba. They both encapsulate their roles with skill and confidence that help to carry things through, even when Sorkin seems to lose director focus. Chastain brings an intelligence and alluring presence that shows Bloom to have a commanding figure. Even though the main character must spend a good portion of her time behind a computer screen but the colorful crowd that surrounds Molly provide the necessary distractions to move the story to its conclusion. Kevin Costner, Michael Cera, and Chris O’Dowd add the multi-dimensional aspects to the storyline and make up for Sorkin’s inability to cut from his script. Even though the film was about a woman who ran a sought-after ring of poker games, reducing the number of the poker games from the final cut would have improved the final product. The story shows how easy to forget the value of personal reputation until it is challenged in the workplace or legally. This is the driving force behind Molly Bloom’s choice to endure the legal issues in the film. The first time director is able to show that the true motivation of her legal battle was to salvage what was left of her name, which is all she has left at the end of the day. Aaron Sorkin has proven that he can bring seemingly uninteresting elements of the human experience to vibrancy in his writing. Moneyball and The Social Network are some fine examples. As a director, he has to prove if he can measure up to his writing abilities. 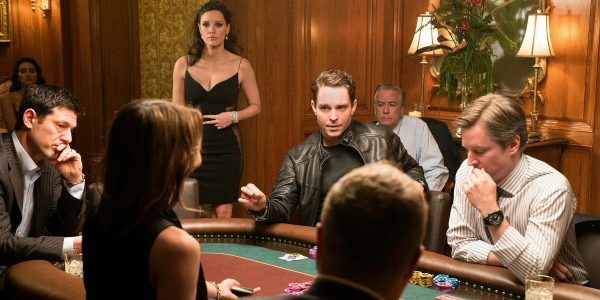 Molly’s Game is a good beginning and should be a catalyst for future projects for the award-winning writer.